We’re painting the city yellow in 2016 as Veuve Clicquot brings the “sport of kings” back to Cape Town for the 6thyear as one the few prestigious Veuve Clicquot polo events hosted worldwide. First held in 2011, the Veuve Clicquot Masters Polo features an international polo lineup, with teams from around the world competing for the Veuve Clicquot Masters Polo Cape Town cup. Taking place on the 5th of March 2016 Val de Vie Estate will once again play host to this glamorous event. Surrounded by the mountains and vineyards of the famous Paarl-Franschhoek valley, Val de Vie is one of the most spectacular polo estates in the world. Their passion for the sport has transformed the estate into an unrivalled polo destination. Inspired by Madame Clicquot – the theme for this year’s event is ‘Let Life Surprise You’. With this theme the champagne house will bring a new energy to the event; a luxurious, playful, bright and innovative spirit. “This is Veuve Clicquot’s most anticipated event in South Africa. It’s a wonderful celebration of all that is Veuve Clicquot – it is more than just a champagne brand,it’s a lifestyle, and guests will experience this with some #ClicquotInTheSun on 5 March 2016,” adds Moët Hennessy Market Manager, Patrick Madendjian. Fashion aficionados will enjoy a carefully curated experience as they gather on the scenic estate’s clubhouse terraces and watch models exhibit chic summer outfits in the official fashion show, without doubt one of the highlights of the day’s activities. “D’ORE Fashion, home to the world’s top fashion brands is the official fashion partner for the event. This multi-brand fashion house is owned by Vanessa Gounden, who is one of the first South African designers to have a free standing store in London. So there will be a lot of international trends and season forecasts on the 2016 Veuve Clicquot Masters Polo runway,” announces VIVIDLUXURY’s CEO Anina Malherbe-Lan, one of the event co-founders. “As with most equestrian sports, the fashion worn on the sidelines is part of the atmosphere of the event. Inspired by Veuve Clicquot’s bright and bold Yellow Label, the dress code for the 2016 Veuve Clicquot Masters Polo is Polo Chic in bright & bold,” says Aimee Kellen, Moët Hennessy Champagne Portfolio Manager. The judges for the best dressed competition will also be on the look-out for the best polo chic outfit. The event continues to attract the attention of international VIPs such as the Royal Warrant of Appointment for the Royal House of Belgium andrenowned couture designer Fabienne Delvigne, as well as the US cast of Black Sails — including Zach McGowan, Hannah New, Clara Paget and Luke Arnold and Hakeem Kae-Kazim. Some of South Africa’s most revered celebrities such as Lee-Ann and Nicky van der Walt, Jeannie D, Elana Afrika, Liezel van der Westhuizen, Tarina Patel, Jen Su, Maps Maponyane, Katlego Maboe, David Tlale, Siv Ngesi,, have also attended this event. More than 2 000 people have attended the polo including international media titles such as Tatler, Vogue Italy, Savana and CNBC Africa. 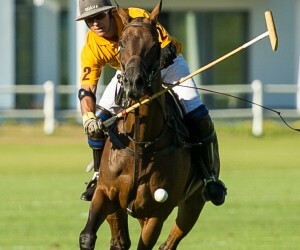 The globally renowned sporting event features top polo players from around the world. 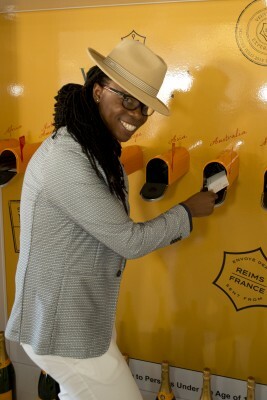 When this level of talent meets with Veuve Clicquot’s passion for timeless excellence, the result is exhilarating . 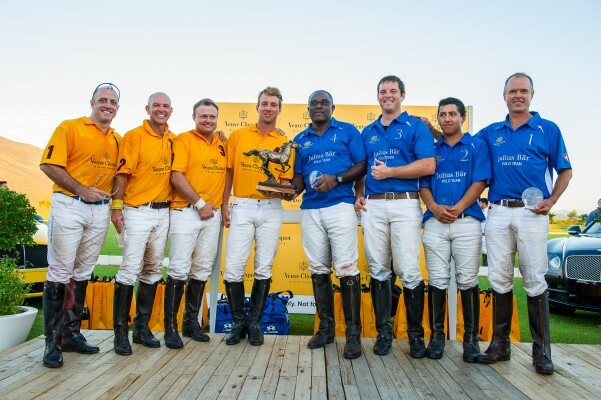 Businessman and polo player Nicky van der Walt, HRH Prince Malik-Ado Ibrahim of Nigeria and Springbok colours player and national polo team captain Le Roux Hendricks are some of the top names that have played in this nail-biting tournament. The afternoon affair is one of a handful of international polo tournaments that the prestigious champagne house sponsors, among them is the US’s Manhattan Polo Classic and LA Polo Classic. “For the first time in the history of this event, guests can now purchase tickets to the Veuve Clicquot VIP lounge which was previously accessed by invited guests only. These are however limited,” shares event co-owner and Val de Vie Events MD, Simone de Wet. The day will end with an after party hosted by Shimmy Beach Club on the right hand side of Val de Vie’s clubhouse where guests can dance the night away without having to leave the estate. 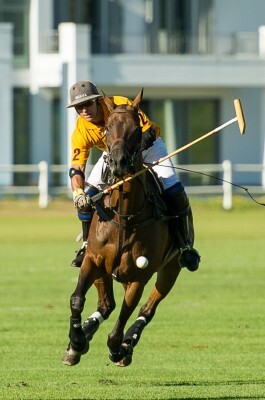 More than any other sport, polo is best savored live with a glass of Veuve Clicquot champagne in hand. Tickets available online at Computicketwww.computicket.com. For more information contact VIVIDLUXURY on 021 465 2312 or email masi@vividluxury.co.za.